Cioara, Astyr and Rana arrive at the transport depot. 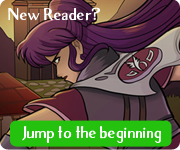 My Webcomic Alliance podmate Liz Staley's intrepid mecha pilot Sarah Bryrant has a cameo on the escalators here! She's been working hard on the next chapter of her comic Adrastus. You should also check out her new store because it has some REALLY delightful milkshark shirts. I may have three of them. Don't judge me. 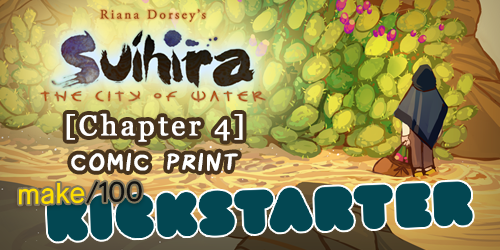 Also, my comic buddy Riana is raising funds to print the next part of her comic Suihira! 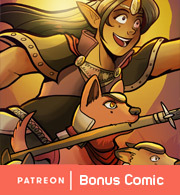 The previous issues are available here too, so go forth and get yourself some dead tree books of intrepid Sand Princess Adventures!